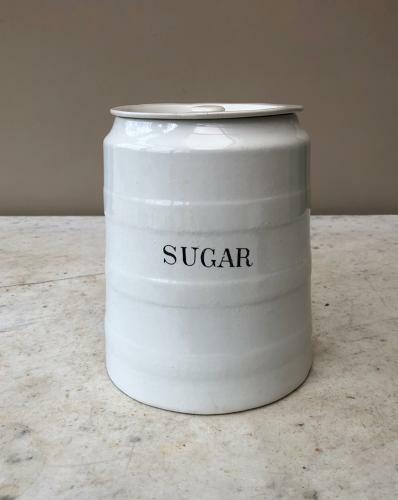 Large Edwardian White Banded Kitchen Storage Jar for SUGAR. Stamped 6LB on the base. No damage. Good and clean to use.